This powerhouse anti-aging collection works together to help dramatically improve the appearance of fine lines, enlarged pores, uneven skin tone, loss of firmness, skin discolorations, hydration, and other signs of environmental damage, all in lightweight formulas those with oily skin will love. Each formula works all day or night to brighten and refine the look of skin and pores, for a more even-toned, firmer, and youthful-looking appearance. 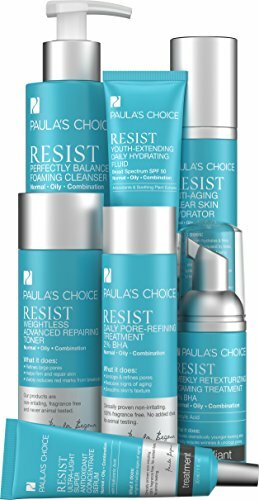 All Paula's Choice products are 100% fragrance free, clinically proven to be non-irritating, and never tested on animals. If you have any questions about this product by Paula's Choice, contact us by completing and submitting the form below. If you are looking for a specif part number, please include it with your message.